Is There a New Computer in your future? 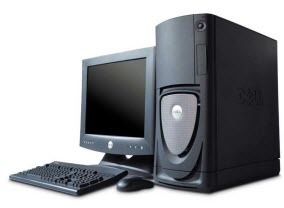 Buying a New Computer - Sunburst Software Solutions, Inc.
Is There a New Windows Vista, 7, or 8 Computer in Your Future? Buying a new computer and installing ALL of your software is a big task for most companies. In reality, it takes quite a bit of research, planning, and time. Windows Vista, 7, and 8 are MUCH DIFFERENT from Windows XP and there are several new rules that you have to follow. This article will walk you through the pitfalls we've seen others experience. One of the first things that you need to do is to make sure that ALL of your existing software and hardware (printers, etc.) are compatible with Windows Vista, 7, or 8. Will you be purchasing a 32-bit or a 64-bit computer? Is your existing software compatible with Window Vista, 7, or 8? Do you need to purchase updated versions of existing software? Are your existing printers compatible - many older printers don't have updated drivers for these new operating systems. Will you need to download updated “drivers” for your printers? Do you understand the new requirements of Windows Vista, 7, or 8? Security, data placement, data locations, etc. Does your IT person know the new requirements? Will you be doing all of this yourself or will you be hiring someone to do this for you? Do you have a list of all the software that you are currently using on a daily basis? Do you know your license information or registration information? Do you know where all of your important files are located? If you are hiring someone, are they familiar with Windows Vista or Windows 7? Do you have a time frame that allows for starting to use your new computer(s) – when do you want to make the switch? Realize that this could be anywhere from an all day project to a 2-week process – depending upon how many new computers you are buying and how much software you have to install. Data can be copied – Word files, Excel files, QuickBooks company files (QBW or QBB), your CPS/CAPS data. Programs must be installed – Microsoft Word, Microsoft Excel, QuickBooks, CPS and/or CAPS. Programs cannot be copied. With Windows Vista, 7, NS 8; it is strongly suggested that you create a Standard User Account and install your software while being logged in under the User Account. Read this blog article for instructions for on creating a Standard User Account. The Intuit Developer Network requires that QuickBooks and 3rd party applications created using the QuickBooks SDK, such as ours, be installed and run from a Standard User Account. Read this article from our blog about Windows Vista/7, QuickBooks & 3rd party applications. With Windows Vista, 7, and 8, it is highly recommended that you create a password for both the Administrator Account AND the User Account. With Windows Vista, 7, and 8; it is highly recommended that you leave the User Account Control settings turned on. Make sure that your IT consultant/computer person follows these instructions! If they do not you will receive an 80040408 - Could Not Start QuickBooks Error. 2. Start CPS/CAPS, go to the Help menu, choose About and click the big Login to the Web Service Center button. 4. This opens a new web page – print this page as it contains your license information. 5. Download and Save the program to external media. 3. Click the Cancel button on each of the Setup Wizard windows until you reach the main window. 5. Use the Browse for File to Restore button to navigate to the location that you saved your backup, select it. The file name and location should now appear in the Backup File to Be Restored field. 6. Click the Restore All Data button. 2. In CPS go to the System Setup menu -> System Preferences -> and click on the Data Locations tab. a. Click into and delete the contents in the 2nd box from the top. 1. IF you are simply replacing a single computer in an existing network BEFORE you remove your old computer you will need to start CPS/CAPS, go to the “Data Locations” tab, and write down the location of your CPS/CAPS data on the server. On the NEW computer, go to System Setup -> Data Locations and use the Browse for Data Path button to “point” to the same place as the old computer. Sunburst Software Solutions, Inc. defines Technical Support as "Knowledgeable people assisting the users of our software products". Therefore, our technical support services have been designed to help you solve a specific problem that you are having with a product - rather than providing training, customization, or other training services (such as, QuickBooks training, training new employees, or what is really considered to be IT Services/Computer Consulting) - so, the word "assisting" in this definition is extremely important. Paid Training also includes Network installations, permission settings & troubleshooting. We are not IT specialists. If you call us and we help you with an error code or problem you have with our software, answer a specific question that you have about setup, or listen to your feedback about our software - that is considered "technical support". Our Support Policy does include provisions for Free Support, Free Training, Paid Training, and Program Maintenance – see http://www.sunburstsoftwaresolutions.com/support-policy.htm for more details. One of the first things that you need to do is to make sure that ALL of your existing software and hardware (printers, etc.) are compatible with Windows Vista or Windows 7. Is your existing software compatible with Window Vista or Windows 7? Are your existing printers compatible with Windows Vista or Windows 7? Do you understand the new requirements of Windows Vista or Windows 7?Security, data placement, data locations, etc. Do you have a timeframe that allows for starting to use your new computer(s) – when do you want to make the switch? Realize that this could be anywhere from an all day project to a 2-week process – depending upon how many new computers you are buying and how much software you have to install. Programs must be installed – Microsoft Word, Microsoft Excel, QuickBooks, CPS and/or CAPS.Programs cannot be copied. With Windows Vista and Windows 7, it is strongly suggested that you create a User Account and install your software while being logged in under the User Account. With Windows Vista and Windows 7, it is highly recommended that you create a password for both the Administrator Account AND the User Account. With Windows Vista and Windows 7, it is highly recommended that you leave the User Account Control settings turned on. Paid Training also includes Network installations, permission settings & troubleshooting.We are not IT specialists. If you call us and we help you with an error code or problem you have with our software, answer a specific question that you have about setup, or listen to your feedback about our software - that is considered"technical support".